Applying for a new Missouri driver's license is necessary if you plan to operate a vehicle in Missouri. Whether you are a new resident or a first-time driver, the Missouri Department of Revenue (DOR) requires you take a number of steps in order to obtain your driver's license. Continue reading this page to find information about how to transfer or apply for your new driver's license in Missouri. Show proof of your name, date/place of birth, Social Security number, and MO residency. For a complete list of acceptable documents, please visit the DOR website. Pass the written permit test and driving tests. The DOR will waive your skills and written tests if your driver's license is valid or has been expired for 184 days or less. Pass a road sign recognition test. View the Highway Sign Recognition Study Sheet for more information. $10 for 3 years OR $20 for 6 years. 21 thru 69 years old: 6 years. 18 to 20 years old OR 70 years old or older: 3 years. This page outlines the process of getting your full driver's license in Missouri. NOTE: If you're 18 years old or younger, you must complete the MO DOR graduated driver licensing (GDL) program. For more information, see our Applying for a New License (Teen Drivers) in Missouri page. Learner's permit: Eligible at 15 years old. Intermediate license (class F): Eligible at 16 years old. Full driver's license (class F): Eligible at 18 years old. Motorcycle license (class M): Eligible at 16 years old. Commercial driver's license (class A, B, or C): Eligible for intrastate at 18 years old. In Missouri, you must carry car insurance (and proof of your financial responsibility) at all times while driving. Your policy must meet the minimum liability requirement of “25/50/10." To get a low car insurance rate in Missouri, visit our Insurance Center. In Missouri, if you are 18 years old or older, you do not need a learner's permit to apply for your driver's license. If you're younger than 18 years old, you will be required to apply for an instruction permit and intermediate driver's license before obtaining a basic driver's license. Refer to our Applying for a New License (Teen Drivers) in Missouri page for more information. This GDL process ensures you receive the training and driving practice you need to be safe and responsible driver and pass your driving test. NOTE: If you're younger than 18 years old, you must complete the Missouri graduated driver license (GDL) program before applying for a driver's license (see “Learner's Permit" above). 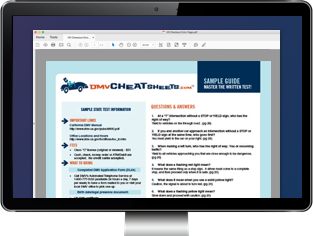 If you want to pass the written test you can always study the Missouri Driver Guide, but who has time for that? That bad boy is about 113 pages long! We suggest preparing for the exam with an online practice test from our certified partner. Once you pass, you will be issued a Driver Examination Record (Form DOR-100), which you must submit to the Missouri DOR to obtain your first driver's license. For a complete list of acceptable documents, please visit the Missouri DOR website. You should receive your MO driver's license in the mail within 10 business days. Driving test record you must submit to the Department of Revenue when applying for your first permit or MO driver's license. Must be completed by the Missouri State Highway Patrol.